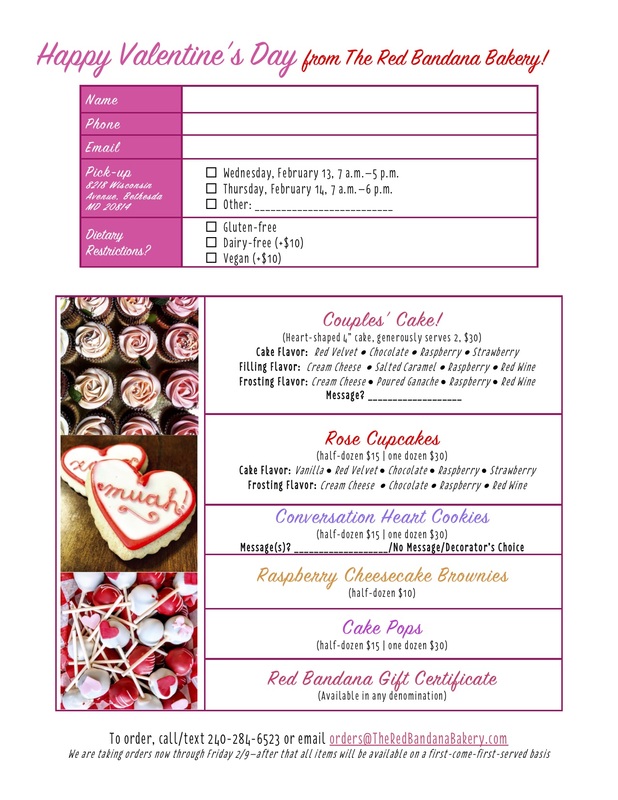 Valentine’s Day Pop-up Flower Shop! This Valentine’s Day we are happy to present Designs by Oochay: come pick up beautiful fresh-cut flowers, custom arrangements, and make-your-own-bouquets all day at the bakery! What kind of item would you like? How did you hear of The Red Bandana?